2016 has undoubtedly been a momentous year for ProBono.Org as we celebrated the organisation’s 10th anniversary, which coincided with the launch of a new office in Khayelitsha, Cape Town. The formal opening of the Isivivana Centre in Khayelitsha took place on 13 October 2016. The centre is managed by the Khayelitsha Youth and Community Centre Trust and was primarily funded by the Atlantic Philanthropies with support from the Harry Crossley Foundation and the Bertha Foundation. The centre is the first of its kind and operates as a social justice hub which will be home to ProBono.Org and eight other NGOs working with and for underprivileged communities. These NGOs include Equal Education (EE), the Social Justice Coalition (SJC), Medecins Sans Frontieres (Doctors without Borders), the Treatment Action Campaign (TAC), Workers World Media Productions, Health Equity South Africa, the Thope Foundation and the Equal Education Law Centre. The centre will certainly bring about positive change within Khayelitsha and surrounding communities with these various organisations working towards empowering and improving lives. These NGOs may have different mandates but their common goal is to make access to social justice more easily accessible and realisable for the marginalised. The legendary Zakes Mda, major literary award winner was one of the guest speakers at the launch. He spoke about the significant symbolism of naming the building Isivivana. The word “Isivivana” means a cairn of stones used to mark a pathway. “This is a magnificent home for the non-governmental organisations. Isivivana is a glimmer of hope, hope that we all need. This is where all young people will meet and correct our wrongs. My generation has messed up the country. The country is in a mess. It is corrupt to the core. It is in this place that these NGOs will make our government accountable,” he said. On the day, Cape Town TV, a community television channel interviewed Uzair Adams who manages the ProBono.Org Cape Town office. The Cape Town office is currently in its set-up phase, and is expected to be fully operational by January 2017. Guests received certificates in various categories and while we had the serious categories, we also had some fun ones such as Most Entertaining Attorney. Our MC, Mr Jared Dukkhi (a local DJ), who offered his services pro bono, was very entertaining and had the guests chuckling throughout. Guests enjoyed the raffles and this generated much excitement, especially when the Lexis Nexis PG licenses were raffled! Our sponsors included Lexis Nexis, Discovery Health, Virgin Active Health Club, Labour Net, SAB/ ABI as well as Remy Martin. We received very positive feedback from guests and have already had queries about when the next one will be held! 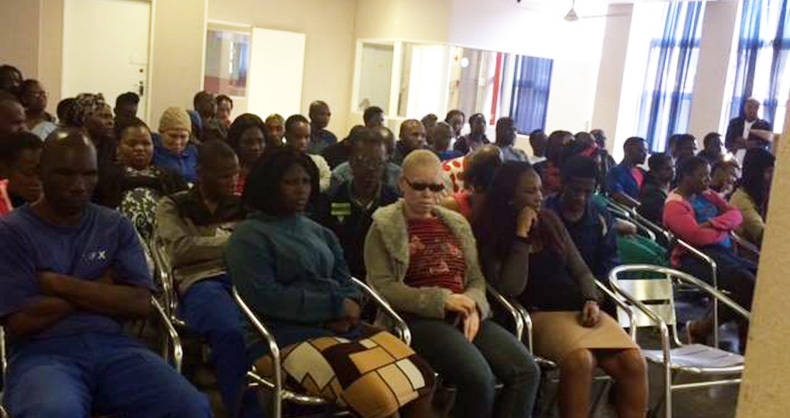 The Durban office recently made contact with the KZN Blind and Deaf Society and we held our first seminar for them on 15 November 2016. Sanelisiwe Nyasulu of Garlicke and Bousfield spoke about housing. Let me first mention that I had an amazing time at ProBono.Org. 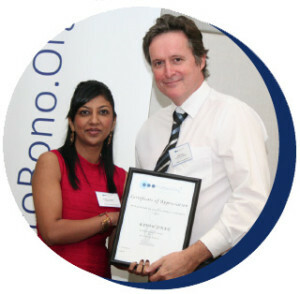 I was so proud to be able to job shadow in such an organisation. It gave me a chance to see people who genuinely care about their community. Before I went to ProBono.Org I thought selfishly: Why would I want to study only to end up having to work for free? However, after being at ProBono.Org and being exposed to all the amazing work that is done there, I now understand how great a feeling it is to be helping someone, not because you have to but because you want to. I had set my heart on going to ProBono.Org and I when I got accepted I was thrilled. Firstly, in my opinion, the office has such a cool location. As I stood in the offices, I thought how moving it was to be in the same place where a prisoner stood 50 years before me. Generally, I learnt a lot about the field of law, along with a number of other things. 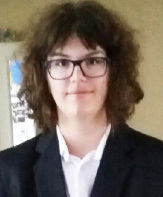 I was asked to make a spreadsheet on Excel, I had an opportunity to read about different cases that interested me (one of them was the Grootboom vs the Republic of South Africa case) and was taught how to write a brief. I was also taken on a very informative tour of the Constitutional Court and the Women’s Gaol. I was informed about the Government Gazette and encouraged to do a bit of research. Even though I was not a regular employee, I had this amazing feeling coming in every day and knowing that there would always be someone to help me. I was also truly impressed by the people that work at ProBono.Org: one could see that everyone was really passionate about what they are doing and all of them seemed happy to be able to do something worthwhile every day. I really enjoyed my time at ProBono.Org and I think that the work that is done there is amazing. It also gives me hope to know that even if someone cannot afford legal services, there is an organisation like this that can help them. 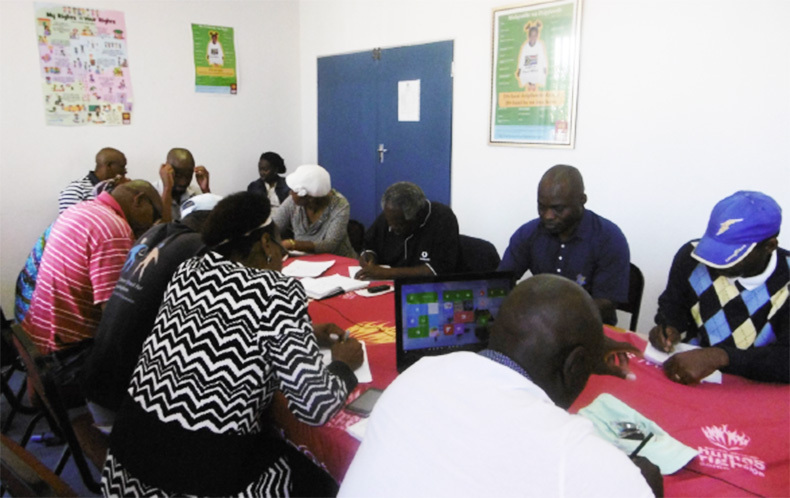 On 17 November 2016, Tshenolo Masha met with the 16 Limpopo Community advice offices in Polokwane at the South African Human Rights Commission to reflect on the work of the ProBono.Org Community Advice Office Support Project during 2016. Community advice office representatives gave feedback on the successes and challenges that the project experienced throughout the year. Many of the participants noted a change in their perception of the legal profession. For instance, Johanna Mkhabela from the Manthata Advice Office was under the impression that legal professionals were inaccessible to poor people and that they could not identify with some of their challenges, but after interacting and linking up with Mashola Attorneys the advice office felt that the legal professionals are able to apply their knowledge of the law to the client’s case and take into account the socio-economic situation of the clients. The meeting also discussed some of the training needs of the advice offices for the coming year such as labour law and mediation. This will inform the discussion that ProBono.Org will have with legal professionals in Limpopo on how they can get more involved with community legal empowerment and training for community advice office paralegals.